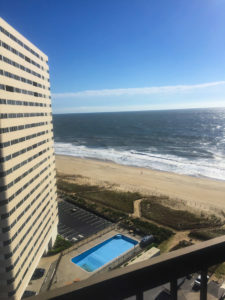 I just returned from the Maryland Child Care Conference in Ocean City, MD. The conference was held in a beautiful setting by the Ocean, but the best part was meeting all the wonderful early childhood educators. Chris Peusch was the hardworking coordinator of the conference who effectively managed the operations, responded to questions, and made the entire experience amazing for all of us! In my session, on “Nurturing Creativity”, the early childhood professionals responded enthusiastically and shared their own stories of their creative children. My closing session, “Laughter in Early Childhood Classrooms”, allowed us to laugh, giggle, and celebrate the joy that can happen when we interact with young children. A high point for me was getting acquainted with Debbie Clement, a wonderful musician and creative author. We were able to talk several times and find our shared interest in young children and their teachers. She is a very authentic person who truly cares about early childhood teachers and their inclusion of music in their programs. I thanked her for sharing her personal story with me and assured her that her years of experience had helped her learn many things about young children and their development. This is why I travel to conferences and write books. I cherish these amazing moments when I interact with these very special people who are early childhood educators! 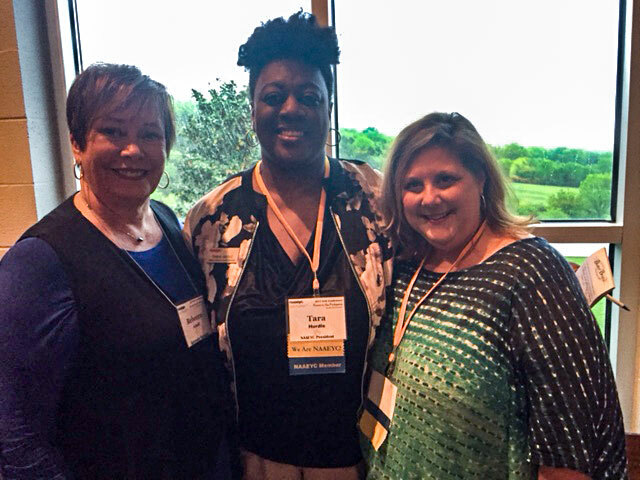 The Nashville Conference was an amazing celebration of our early childhood profession. 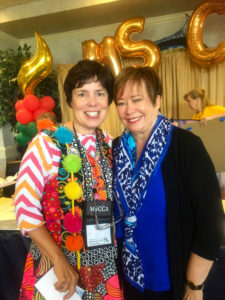 It was led by two outstanding professionals; Jana Crosby, who effectively coordinated the conference and Tara Hurdle, the competent President of the organization. Although the weather was stormy, these two amazingly positive women kept the conference on course and infused with high energy! 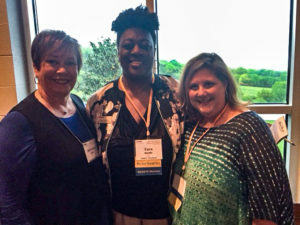 Nashville’s early childhood educators at the conference were excited about learning, the exhibits, the delicious food, and the opportunity to collaborate with other professionals. Together we celebrated the joy of working with young children, recognizing their creativity, and connecting teachers to their own creativity. In our closing session together we giggled, laughed, and participated in stories about the funny things that happen in early childhood classrooms. It was wonderful for me to have the opportunity to share the laughter and joy with these dedicated, hardworking early childhood educators! This Week of the Young Child let’s celebrate the amazing people who are working with young children every day! 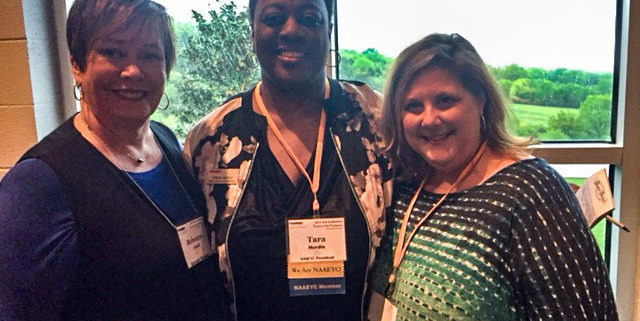 NAAEYC is a great place to find some of these very special people! I just returned from a fabulous state conference in Charleston, WV. It was coordinated by a delightful and extremely organized LeeAnn, assisted by some great helpers including Ginger, Kathy, and many others. This was such a responsive group of early childhood educators who joined with me in shaking hands, singing songs, and actively participating in telling stories. I had the wonderful opportunity to talk with some attendees including preschool teachers, PreK teachers (WV has Universal PreK), Home Visitors, Head Start including early Head Start, and home based programs. All of these hard working teachers were so excited about their experiences with young children and are working diligently to provide quality early childhood programs in their community. West Virginia’s young children and families are blessed to have such dedicated teachers, supervisors, and coordinators who strive to inspire, challenge, and support their development. Hurrah, Hurrah, Hurrah for the dedicated early childhood teachers in West Virginia. Benjamin feels of it, rubs it, and opens and closes the clip again. He takes the clip and magnet to the sliding glass door and tries to stick it to the surface, but the clip falls to the floor. Next he tries to attach it to the table but it doesn’t stick. He looks around the room to find other surfaces that might attract his magnet. He sees a tall floor lamp that is standing near the window. He tries the magnet on the lamp. To his amazement, the magnet attaches to the base of the lamp. He moves the magnet up and down the tall lamp and finds that it will attaches to the entire body of the lamp. He tries the lamp shade but it does not attach. You can see the wheels turning as he thinks about all the items he has tried: glass, table, and it only sticks to the lamp. Why? What is different about the lamp? Why does it attach to the lamp and not the other objects? For the next 10 minutes he experiments and observes the results of his ongoing investigation to determine what items the magnet will attach to and which ones will repel the magnet. He is focused, persistent, and creative during the process. This young boy is naturally curious and wants to find the answer to his problem. His scientific experiment didn’t require expensive materials or prepackaged kits. All he needed was a safe environment where he could explore, try interesting items in his own way, and gain information at his own pace. Young children are natural scientists if given the opportunity and support to follow their interests, develop their plan of action, and discover their own solutions. Let’s nurture our young scientists as they can become inventors, innovators, problem solvers, and confident thinkers! We can create an environment that will inspire thinking, support their creative ideas, and value their approach. Enjoy the young scientist and creative thinkers in your world! Good News Alert: Too Much Testing! For the last decade our educational system has focused on testing, testing, and more testing. I personally believe that the most essential abilities needed for a full and rich life are not testable! For example: motivation, persistence, creativity, athletic abilities, or musical talent cannot be identified by a test filled with bubbles and small bits of unrelated information. This over testing, and at younger and younger ages, has been of great concern to me and a growing number of others. Perhaps we are at the tipping point. Recently, many experts, authors, and parents are saying, “Too much test taking”. Teachers are reporting that their young children are crying, spaced out, or become very upset by the demands of limited time, prolonged sitting, and trying to use old computers. They find the questions frustrating because they are totally unrelated to what young children know and understand. So what is the good news? Educators, parents, and leaders are now questioning the amount of testing being done and the growing recognition that there is so much more to learning than what are on these standardize test! Let’s demand that children have opportunities to learn in active and meaningful ways, not spend valuable time taking tests. Join the growing group of those concerned about the testing of young children in inappropriate ways and the use of the results as an indicator of the capabilities of these marvelous developing brains. Young children are so much more than a test score! They are creators, inventors, communicators, collaborators, and problem solvers. 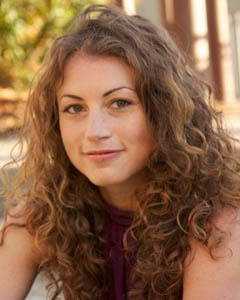 http://drisbell.com/wp-content/uploads/2017/03/standardized-testing.jpg 630 1200 Dr. Rebecca Isbell http://drisbell.com/wp-content/uploads/2015/12/logo-splash-trans1.png Dr. Rebecca Isbell2017-03-21 11:59:442017-03-21 11:59:44Good News Alert: Too Much Testing! In our lifetime, we are lucky if we have a Best Friend. A person who remains with us through the good times and the bad. They care for us when we are happy and they lift us up when we are in the valleys. I have a Best Friend that has been my support for over 40 years. We first met during our doctoral program in early childhood and found that we had similar views of life, young children, and shared a mission. We sweated through Statistics together, often repeating that, “together we have one good statically brain.” Professionally we have presented together, written books together, and made difficult decisions together. My good news today is that I have a BF like Shirley Raines, that we are still supporting each other, and that we continue to work together on projects. My hope is that you have a BF that will laugh with you, cry when you do, and tell you that you are the best friend ever! After reading this Good News Alert, reach out to your Best Friend and let them know how important they are to you! Old friends know you well and still like you. 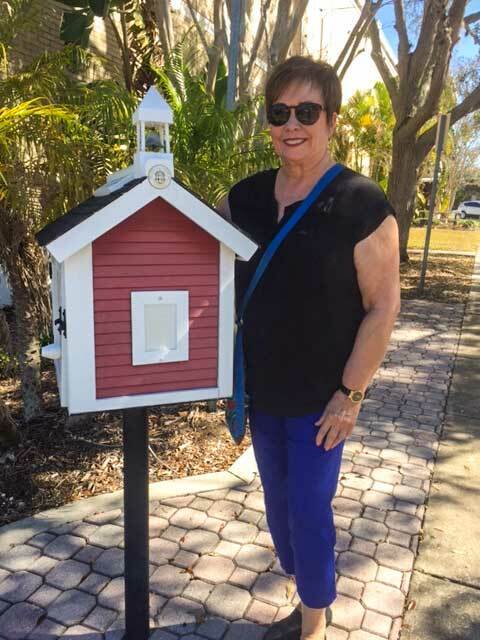 Recently, I was exploring Dunedin, Florida, looking for something positive to add to my series of blogs on positive happenings. I found a wonderful box that looked like a miniature school house on a post situated at the edge of downtown. As I explored the intriguing box, I found that it was A Little Library complete with a collection of paperback books inside and a working door on the outside. The instructions read “take one and return one.” What a wonderful idea to put books out into the world to be selected, read, and returned. 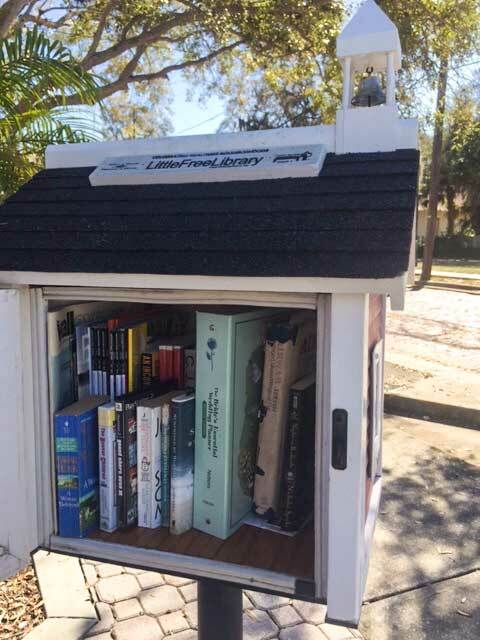 This positive idea is being spread all over the country to make neighborhoods nicer and filled with books. 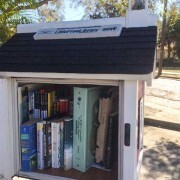 For more information visit littlefreelibrary.org. These positive creations, like the Little Library and the people who implemented them, have made me see our world in a wonderful new way. They help me remember that positive and creative events are occurring around us everyday, but we have to see and celebrate them! I hope you are looking for the wonderful things that are happening around you and the amazing people who help keep our inspirations flowing. I will continue my search too! Good News Alert: People who have “made it” in S.T.E.M. We are continuing our series of blogs that celebrate creative happenings and the amazing people that are a part of this positive news. Today we are featuring some people who have “made it” in S.T.E.M. fields and, in the process, have changed our world! 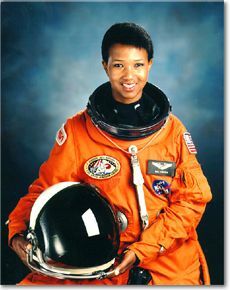 Dr. Mae Jemison, M.D. 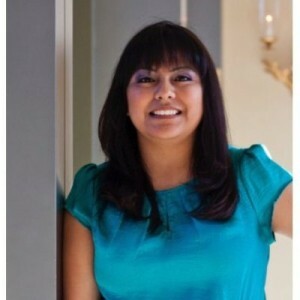 : Physician, Engineer, Designer, and first woman of color in Space. 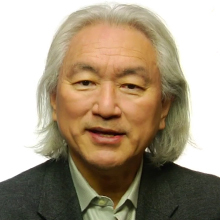 Dr. Michio Kaku: Cofounder of the String Field Theory, author, and host of radio programs. These statements are from scientists and creative thinkers whose achievements have led to breakthroughs in their fields and are inspirational examples for the next generation of leaders and problem solvers. Today in your classrooms you have young children who are thinking in creative ways. They need us to value and support their ideas. As we nurture their problem solving and follow their interests, we are helping them begin their journey into the sciences and the arts. http://drisbell.com/wp-content/uploads/2017/02/good-news-alert-stem-superstars.jpg 630 1200 Dr. Rebecca Isbell http://drisbell.com/wp-content/uploads/2015/12/logo-splash-trans1.png Dr. Rebecca Isbell2017-02-12 22:16:422017-02-12 22:16:42Good News Alert: People who have “made it” in S.T.E.M. Are you as tired of all the negative, angry, vindictive news as I am? Today I am starting a new series of blogs that will focus on positive, interesting people who are being creative. We will celebrate their unique thinking and find inspiration to encourage our own creativity. In front of the Museum of Fine Arts in St. Petersburg Florida sits a man playing beautiful music to a growing group of admirers. 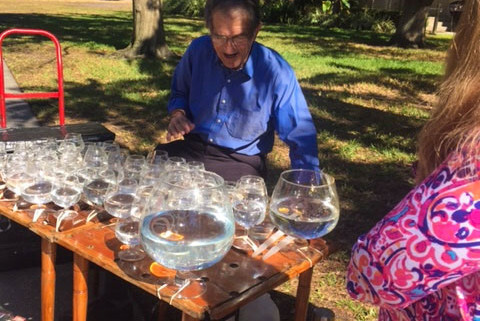 In the sun and beneath the shade of a Kapok Tree is a table filled with clear glasses of different sizes and filled with varying amounts of water. He has carefully tuned the glasses to produce the notes in four octaves. When he plays, the glasses produce a beautiful clear sound as his fingers stroke the sides in systematic rhythm. He plays Beethoven and tunes from different cultures. Folks come and listen as he shares his music to those who have gathered around him. He has brought beautiful music to his world, found a unique way to create the clear sounds, and is sharing with others. He smiles as he plays, finding great joy in the music he is creating. We share his enthusiasm for the music and his amazing talent! Can you find a ways to share positive events and happenings with others? Let’s focus on the creativity that abounds in our world! 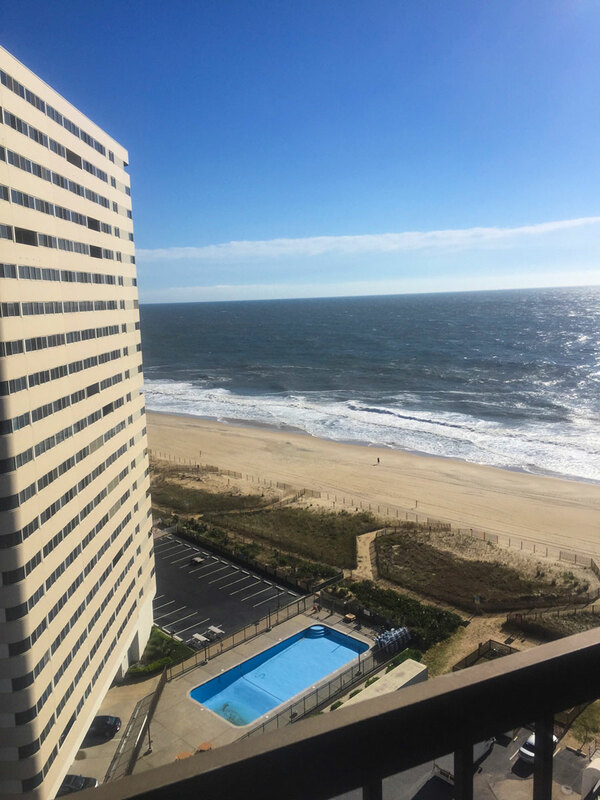 What a great beginning for the new year! I first met this illustrious group of PreK teachers and their supervisors in Colorado Springs on September 3 & 4, 2016. During our two days together, we focused on integrating the 4Cs into their classrooms to inspire Creativity, Communication, Collaboration, and Critical Thinking with their young children. At the end of the sessions, each teacher made an individual plan to implement new ideas, materials, or integrate the 4Cs into their fall curriculum. When I returned January 3 & 4, 2017, I was able to listen to the teacher’s plans and celebrate the ways they had enhanced their classrooms with the 4Cs. It was so amazing to hear the creative ways the teachers were extending and enriching their environment for their young children. A few of the incredible possibilities shared were: An Inventor’s Center, Outdoor Art Adventures, Making Music on a Fence, and Loose Parts in Many Centers. In our afternoon session we sang new melodies, moved to music, created visual arts, and shared stories. Through these exercises, we were stretching our thinking and including the arts in an innovative manner. This professional development, extended over 3 months, allowed the teacher’s time to incubate their ideas, reflect on the results, and make adaptations when needed. In January, teachers thought of ways to extend the original plans into other aspects of the environment and/or curriculum. These planned, sequential sessions, produced amazing results and encouraged teachers to explore new ways to nurture young children’s creative thinking. What a wonderful experience it was for us all! I am exhilarated by this in-depth exploration and the enriched experiences that were created! As you plan professional development opportunities for your teachers and staff, think about ways to extend and connect training so there is time to be inspired, to implement ideas, and return to reflect on the entire process. Have a wonderful 2017! I hope your days are filled with creative possibilities that will enrich your life! 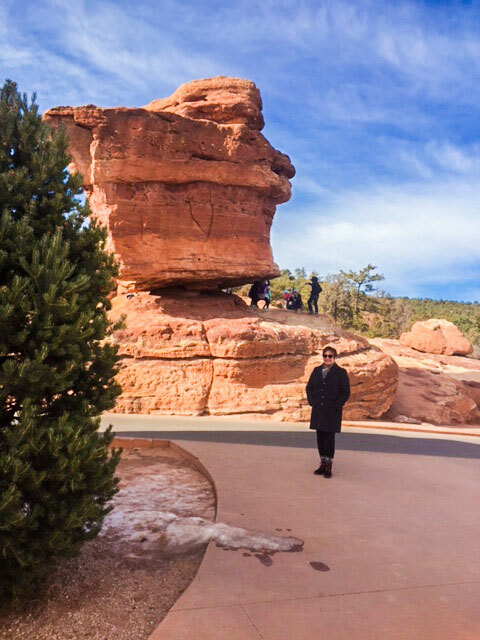 Where in the World is Isbell?